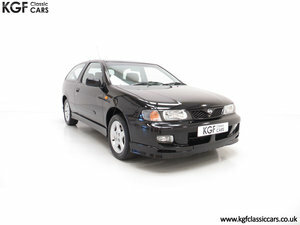 A rare Hot Hatch Nissan Almera GTi with 24,877 miles and two private owners. Body coloured sports bumpers, black front air spoiler and grille bars, laminated Windscreen, halogen headlights, front fog lamps, driver’s airbag, Anti-lock Braking System (ABS), side-impact door bars, Software lock immobiliser (NATS II), keyless entry fob with Superlocking, air-conditioning, audio with detachable front panel, pollen filter, 4-gauge instrument panel with white dials, height adjustable seatbelts all round, front seat walk-in device. Dealer accessories; Tailored Nissan floor mats. 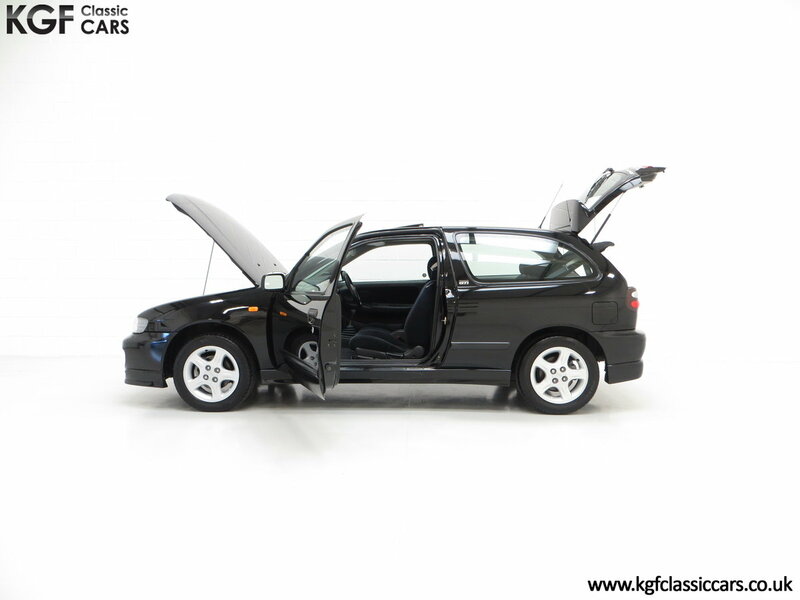 This amazing example finished in Metallic Kuro Black, (Code KH3), is preserved in superb condition having covered just 24,877 miles with two long term keepers. The factory paint finish is fantastic with a deep consistent shine, and all original panels are straight with uniform gaps. 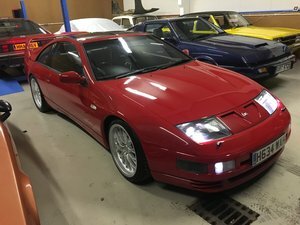 Preserved trim sections, decals and items such as the original supplying dealer number plates remain in place, as does all factory glass and Nissan light fitments. Close scrutiny reveals a few very minor paintwork imperfections, namely light touched in stone chips to the front. Wheel arch apertures and the underside are both very clean. Virtually impossible to find in this unspoiled state, this super rare Hot Hatch is one for the Nissan fanatic! 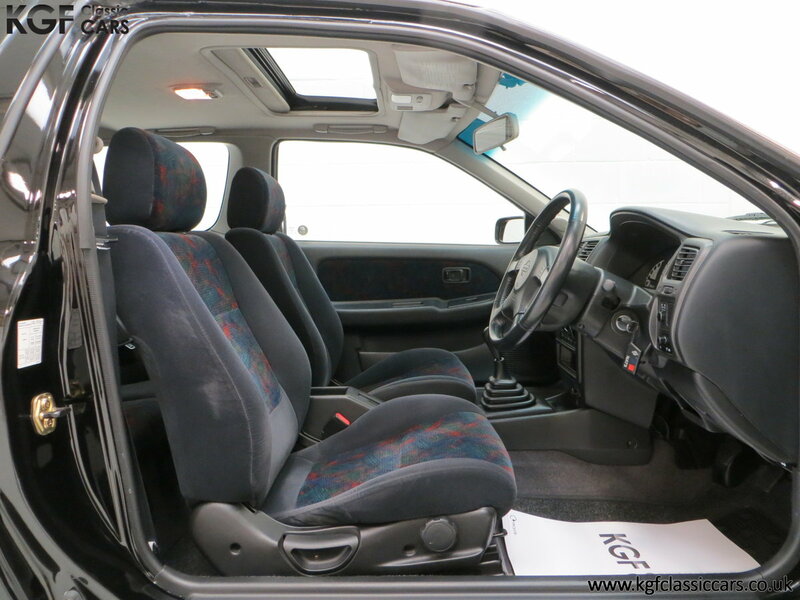 To climb inside the interior of this wonderfully kept example can be likened to visiting a Nissan showroom in 1999!  The exceptionally low mileage is clearly evident and the interior condition is simply perfect. The sports velour seats in GTi Black, (Code G), are as new, as are the matching door cards and grey tufted carpets which are still protected by tailored Nissan floor mats. Natural veins to the leather steering wheel and gear knob reflect the low mileage and even the new car smell has not escaped! 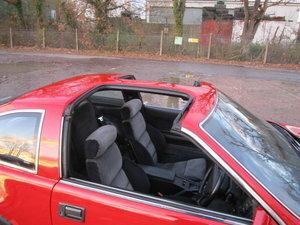 The boot area is pristine with the thin plywood spare wheel cover undamaged and factory sticker to the parcel shelf intact. Full wheel changing equipment is present and unused. The descriptive term ‘time warp’ is entirely appropriate. This top of the range GTi model features the powerful chain-driven 2.0 litre 16v four-cylinder DOHC engine developing 141bhp at 6400rpm and 178Nm torque at 4800rpm. 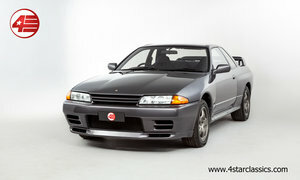 Performance figures are quoted in Nissan marketing literature as 0-62mph in 8.2 seconds and a top speed of 131mph. The clean and totally standard engine bay displays factory plates, stickers, under-bonnet labels and panel stampings. The five-speed gearbox is light and has the tight precise feel only found on such low mileage examples. 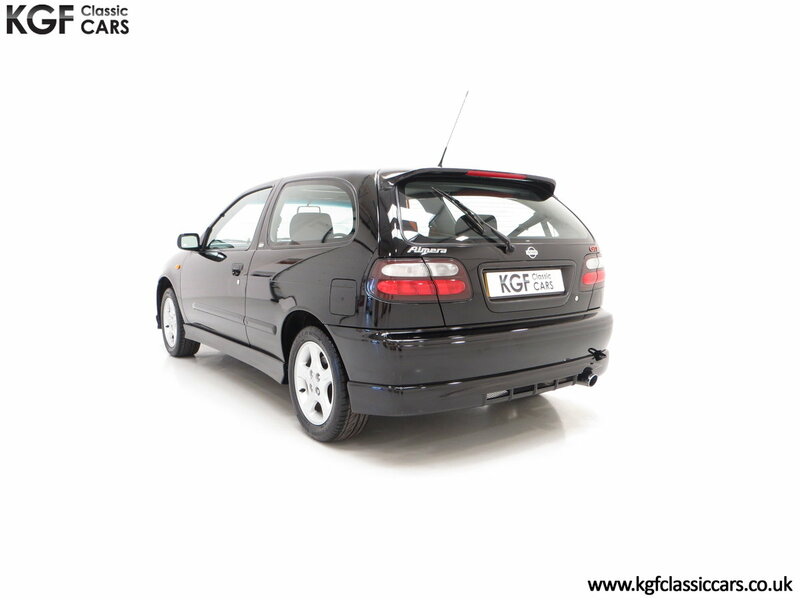 The perfect opportunity to experience an unmolested Almera GTi performing at its absolute best. Five 15-inch alloy wheels are in pristine condition and all four road wheels have recently been fitted with premium quality Bridgestone Potenza 195/55 R15 tyres, virtually unused. Originality seekers will be pleased to see the factory Dunlop SP Sport 2000 tyre fitted to the spare wheel. The 4-channel Anti-lock Braking System (ABS) incorporates ventilated discs to the front and solid rear discs to offer assuring straight-line stopping power. 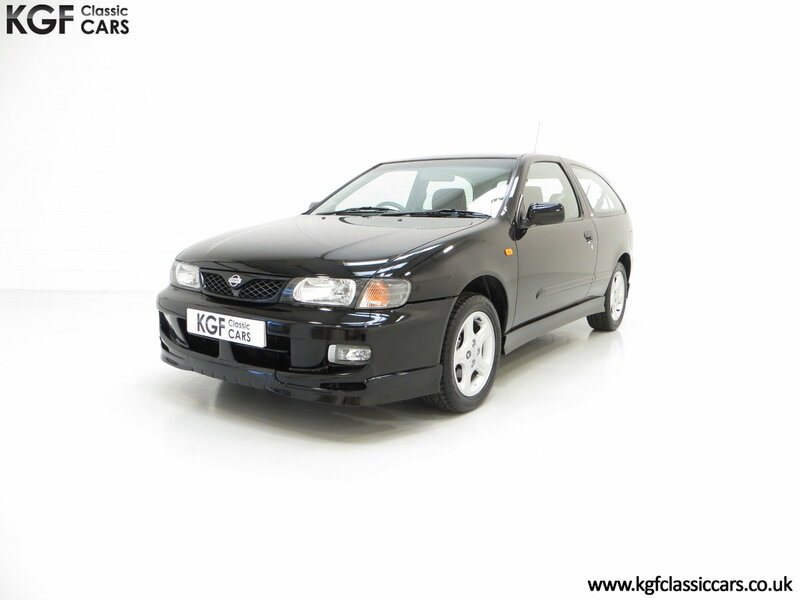 Registered new on 1st March 1999 and supplied direct from Nissan Motor Manufacturing (UK) Ltd, this amazing Almera GTi was registered as a company demonstrator before being purchased by the first private owner, Mr Dennis Allsopp, at eight months old. Mr Allsopp was fanatical about his pride and joy and kept the car until February 2010 whereby the second and only further keeper, Mr Laurence Barber, has owned it ever since. Having covered just 24,877 miles from new, this low long-term owner GTi is possibly the best surviving, original and unmolested example remaining. The comprehensive history file is beautifully organised and presented with the original stamped service book accompanied by the complete book pack in the plastic Nissan wallet, two keys with remote fobs and an original sales brochure. There is a large folder of Nissan main dealer and specialist invoices as well as every single MOT certificate from the very first in 2002, all verifying the low mileage with absolute certainty. Furthermore, the first long term owner, Mr Allsopp, subscribed to the paid-for Mobil 1 Track Record maintenance program whereby only the premium grade oils were used for service requirements. 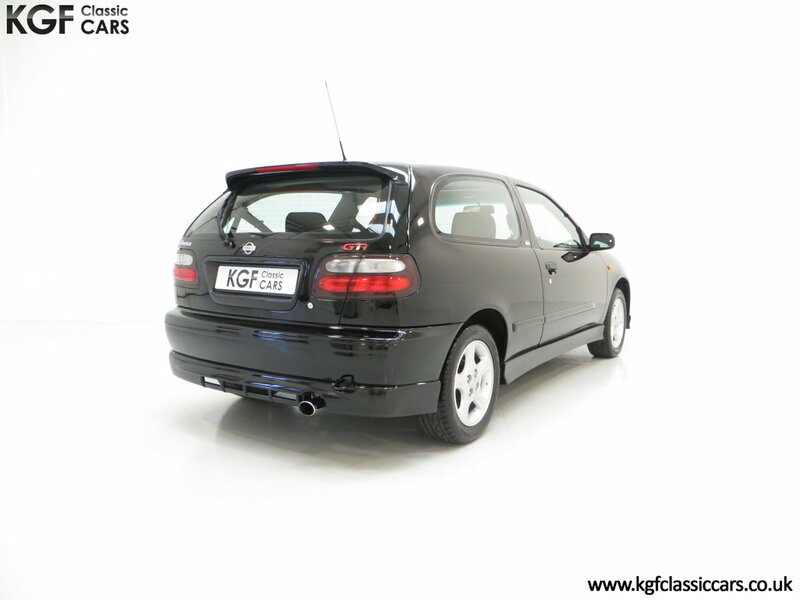 Dare to be different with this super-rare Almera GTi, you will almost certainly be the only one at car shows!